For generations of Irish people, education has been highly valued as an enabler of progress in life and as a pathway to prosperity. The greatest testament to this has been the exceptional sacrifices made by parents through the years to ensure their children received an education. I have also witnessed at first hand the determination and commitment of many students to realise their potential through education. Parents and students embrace this opportunity for advancement, to enable talent to develop and flourish, and to facilitate healthy ambition. Of course, the State also plays a pivotal role in the empowerment of young people through each stage of education. Arguably the most enlightened initiative undertaken in the history of our State was the introduction of free secondary education, which was announced by Education Minister Donogh O’Malley in November 1966. He also announced the introduction of means-tested grant assistance for students to avail of a university education. These far-sighted decisions revolutionised the Irish education system and have been major contributory factors in the enormous economic and societal transformations since. The powerful impact of university education in Ireland can be seen in sharp register in the comprehensive report detailing the economic and social impact of the sector published by the Irish Universities Association (IUA) last week. 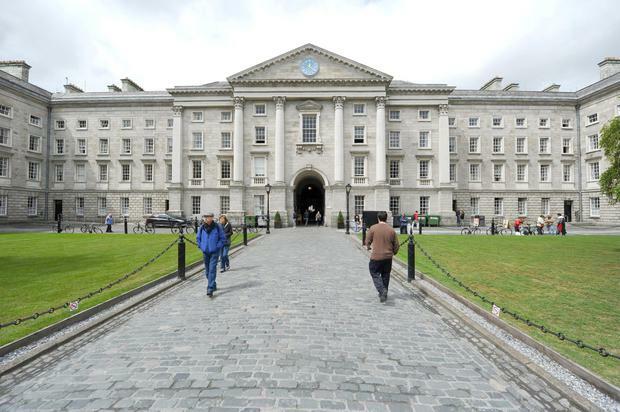 Undertaken by Indecon International Economic Consultants, this independent report is the first study of its kind and provides compelling evidence of the composite contribution of Irish universities to the economy and wider Irish society. Among its key findings, it highlighted the €8.9bn contributed annually to the Irish economy (almost nine times the annual State investment in the sector), the €1.6bn net gain to the exchequer from a single year’s cohort of graduates, and the net premiums in earnings achieved by graduates of Irish universities, which exceed those of the esteemed Russell Group of UK universities. It also quantified for the first time the high-value impact of Irish universities on research, innovation, enterprise and knowledge transfer. Moreover, it highlighted the broad range of social and cultural impacts emanating from the sector. All of this evidence, and more, emphasises the central role played by our universities in our economy and society. We develop the talent pipeline for society and the growing knowledge economy. Our campuses are hubs of creativity, knowledge creation and innovation. We support communities as local employers – almost 22,000 jobs – and we nurture culture, heritage and sport in those communities. The report provides a rich texture to understanding the real value and benefit of university education in Ireland. Importantly, it demonstrates what we have for today and what may be at risk for tomorrow. The 50pc increase in student enrolments since 2010, to 120,000, is a precursor to an even greater demographic bubble which will place an intolerable strain in the years ahead on an already under-resourced system. Unless the Government and the broader political community are prepared to deliver a sustainable core-funding solution, the opportunities afforded to today’s students may be curtailed for many current and future primary and post-primary students. Both quality and capacity are at risk. If this was allowed to happen, it would betray the legacy of Mr O’Malley and many other education pioneers. Worse still, it would inhibit the potential of our nation to flourish in an increasingly complex world where the greatest national asset is talent. This simply cannot be allowed to happen. There is widespread acceptance of the fact the current levels of investment in our third-level system are grossly inadequate. We have heard recent high-level pronouncements regarding some potential solutions being undesirable. As we have witnessed in other political contexts, stating what one doesn’t want is easy. It carries no responsibility. Political leadership demands clarity on where the solution lies and clarity on how and when the solution will be delivered. It is absolutely clear that the State is central to whatever sustainable solution is determined. Politicians of every hue should take heed of this compelling truth.